I take wildlife to mean wild animals, or captive animals in zoos for some of my images of more exotic creatures; plants, trees and flowers are covered in my ‘flowers’ portfolio. I do tend to be a bit picky about differentiating between my wildlife and pets categories, so do have a look at the pets portfolio as well! 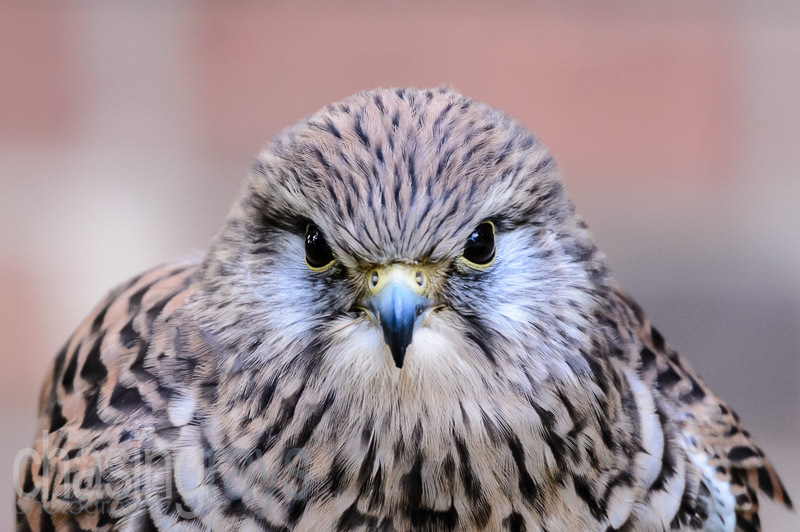 This is a close-up shot of a kestrel taken in a falconry centre in Yorkshire. I waited until the bird was directly engaged with the camera before taking the shot. 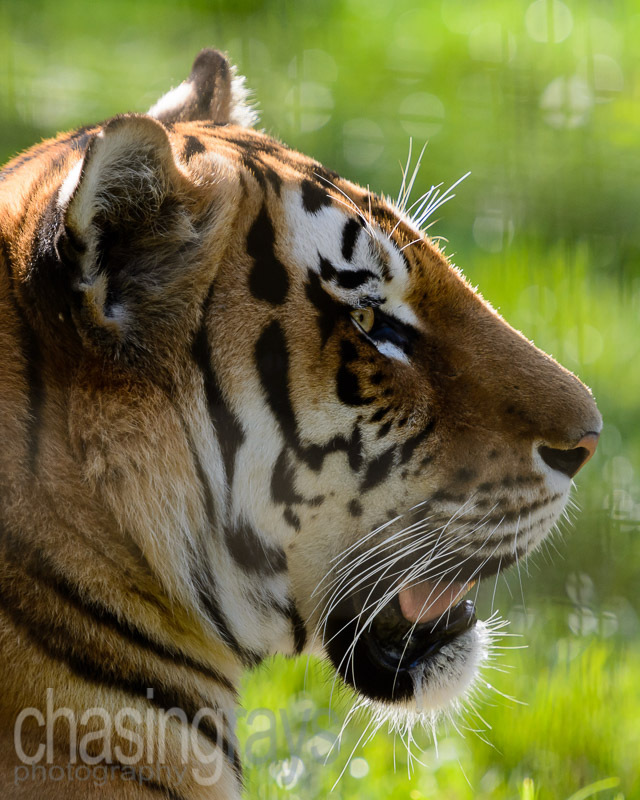 This shot of a Bengal Tiger was taken at Whipsnade Zoo. The tiger was sat in the shade with just a little dappled light shining through onto its head and was brightly backlit by direct sunlight on the grass to the rear of its enclosure. 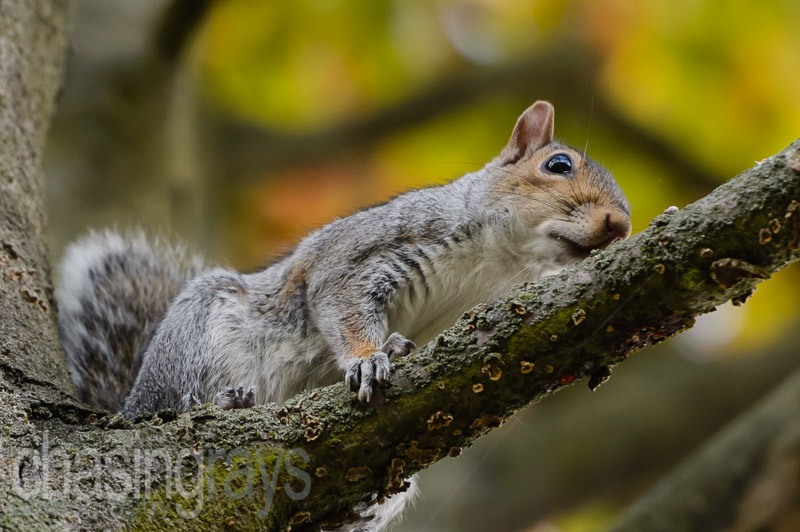 A quick opportunistic shot of a grey squirrel after he'd cheekily run straight in front of my feet and nipped up a nearby tree! 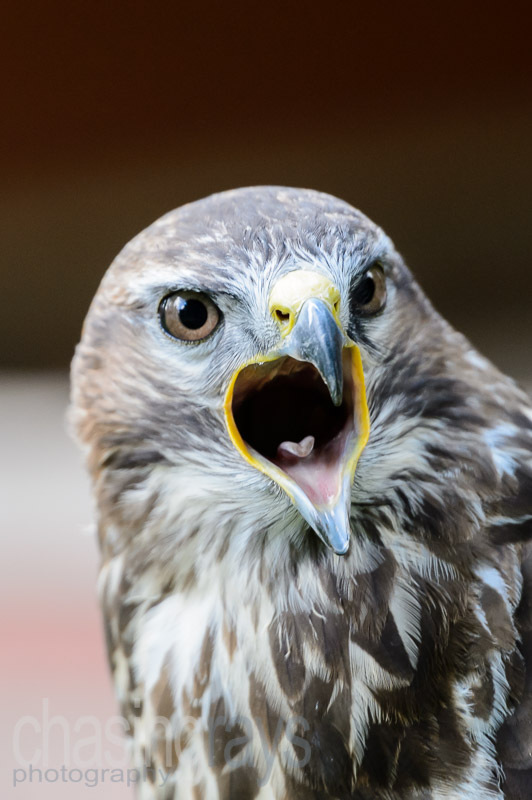 This is a close-up shot of a calling buzzard, taken with a 70-200 mm f/2.8 lens fitted with a 1.7x teleconverter. 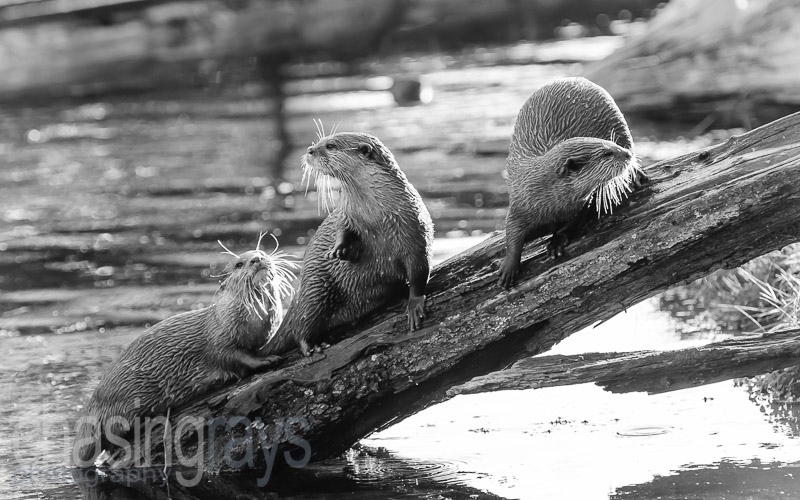 Here, we see a black and white conversion of a bevy of otters, backlit by the setting sun. The image was converted to black and white and raised in contrast to highlight the backlighting and other dappled light that appears, and to emphasise the texture of the otters' fur. The penguin enclosure was quite busy on this day as a few babies had been born, which attracted people in their droves. 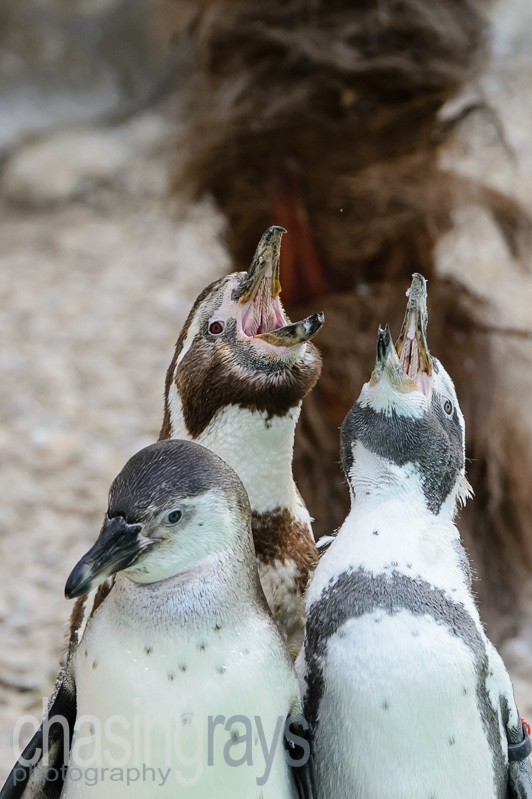 This particular image attracted my attention as these penguins mimicked each other in a bleating chorus.